Can Your Current Staff Handle Influxes in Customer Interactions Successfully? There are different times of year when traffic at your business increases. It could be during holidays or summer when people schedule vacations. There may be a meeting or conference that occurs annually that brings more people to your hotel, resort or restaurant, too. Whatever the case may be, you need to be well-prepared for the increase in business. If you work with a bare-bones staff, you’ll run into many customer service-related issues. That means more work doing damage control than it would have taken you to hire and train additional staff. If recruiting is something that you find difficult to do given your schedule, don’t worry because Upper Crust Recruiters can handle the task for you. When you are properly staffed, there are many things that happen. One, your employees aren’t put out by your requests to do more work than they’re already doing. They aren’t being asked to stay past their scheduled shifts nor are they being told to do jobs outside their job description to satisfy customer or guest demand. This is much more important than many employers let on to because a happy staff means happier customers. When employees feel valued, they’re more likely to do more for your restaurant patrons or hotel guests. The people that spend time and money on your business return home feeling appreciated and satisfied with their experience. It leads to future events and reservations for your business. People are even more likely to tell their colleagues, family members, and friends about you, too. That means new customers and guests to impress in the upcoming year. Part of good time management is identifying your strengths and focusing your energy on those things. Hiring a recruiting company to take care of other aspects of your business allows you to do what you do best. It doesn’t interfere with your day-to-day responsibilities, and it helps you stay on top of staffing even if you’re not directly responsible for recruiting. We provide round-the-clock services that we’re sure you’ll be 100% satisfied with. If an employee doesn’t work out, we find another one that does. You never have to be without the staff that you need to run your business optimally. Some of the most common complaints issued by hotel guests are that the rooms they stay in are not clean enough, the temperature of the environment is too hot or too cold, service is inadequate and slow, and they feel as though the hotel they’re staying at isn’t safe enough. These concerns can be addressed easily by hiring additional staff to handle them. Strengthen your customer service by having enough staff on hand to deal with the largest crowds you see all season. Upper Crust Recruiters provide you with the help that you need to find the best employees in the area with little effort from you. We spend time around the clock seeing the best people to work in the hospitality industry with you. Are You Sufficiently Staffed with Seasonal Help? Tis’ the season to stay busy, right? If you own a hospitality-related business, you know just how true this statement is. Without a need to hire full-time staff, your turn to temporary employees to fill in the gaps in your work schedules. If you haven’t tapped into the resource that is known as season help yet, you really need to! · To sufficiently handle the influx of guests or customers you receive during the holidays. Your normal weight staff or hotel staff won’t be enough to take care of the additional traffic your business receives. People that visit your type of establishment are looking for an experience, not only a service. They want to be reminded that their needs are being taken care of during the holidays. Seasonal employees help your staff give every guest or customer the service they’ve come to expect. · To work on holidays. Your full-time staff may have a benefits package that offers them at least one holiday off, either Thanksgiving or Christmas Day. Seasonal employees are well aware that they may be scheduled to work on the holiday itself and don’t mind at all. They’re looking to get in as many hours as they can in a short amount of time so it doesn’t bother them to work on a holiday. · To replace employees who choose to move on at the start of the new year. Even the best employers experience turnover. That’s why it’s important to anticipate some of your regular staff leaving at the start of the year. Rather than go into the January with fewer full-time employees, you have your pick of excellent seasonal employees to offer opportunities to. Chances are, many of them will want to stay with you because of the experience they had working for you seasonally. As you can see, seasonal employees are a necessity. Even if they work part-time for you, they take care of a need that your full-time staff isn’t able to address. Having plenty of people on hand to work extra hours during the busiest seasons of the year is ideal and easy when you have a recruiting firm like ours working around the clock to make sure you’re adequately staffed. If you don’t have enough staff to see you through the busiest times of year in the hospitality industry, you have the power to change that immediately. By hiring Upper Crust Recruiters to do all of your recruiting for you, you’re free to deal with other aspects of the business that demand your attention right now. You can address the issues that need to be taken care of operationally while we handle finding the best seasonal talent to work for you temporarily. As an employer in the hospitality industry, you’re going to hire a diverse range of people throughout your years as a manager. Knowing how to deal with different personalities can help you better manage your team, strengthen their skill sets, boost their self-confidence, and prevent turnover. It’s important to see employee differences while recognizing similarities. After all, everyone wants to be recognized as the unique individuals that they are. By working hard to create a workplace culture that supports and encourages diversity, you’re able to accomplish harmony and greater overall employee satisfaction. · Try to see things from their perspective. By getting to know an individual and his or her strengths and weaknesses, you’re able to understand how they think. You get a feel for their perspective. By showing that you care to know who they are and how they operate, you’re able to get more out of them professionally. 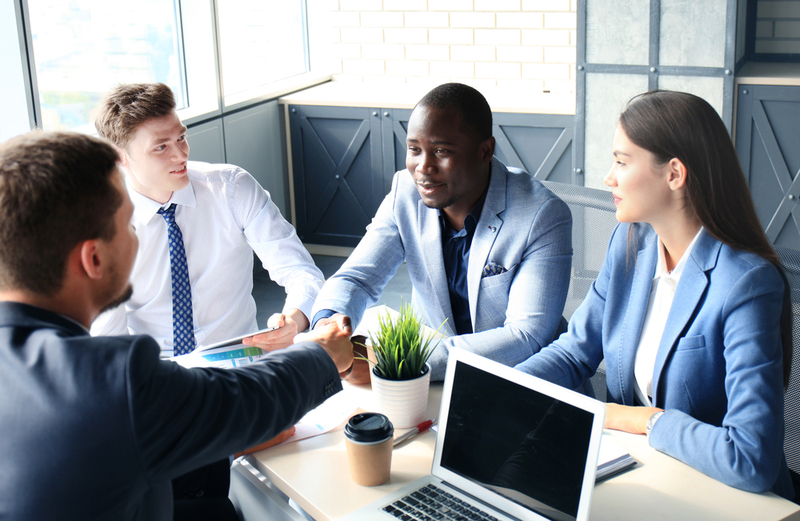 They’ll feel a loyalty to you and your company and be willing to do whatever it takes to make sure that they, their team, and your business succeed. Validating your own and other people’s emotions is one of the fastest ways to support your employees. By giving them a platform to voice their concerns and discuss possible outcomes with you, you’re empowering them to be more vocal. You’re giving them permission to trust you and support you when things go wrong. · Meet with your staff regularly and make one-on-one meetings personal. Get to know how your employees are doing outside of work. Ask about their families, see how they are feeling physically, offer support and provide resources for those in need. This is how you show you care about your employees. You let them know that they matter outside of work, too. There are many ways to manage diverse personalities in the workplace. The list above includes three options that work tremendously well. By taking a vested interest in the people that work for you, you’re able to accomplish more in less time. You create the kind of workplace atmosphere that thrives. Employees are less competitive and more supportive of one another. They go the extra mile to make sure that their jobs are done to your satisfaction and are often the first to pitch in when extra help is needed. Developing emotional intelligence and having one-on-one meetings with employees regularly is ideal. It gives you an opportunity to check in with them and their feelings. It allows you to extend a helping hand whenever necessary. Upper Crust Recruiters works hard to find you the best and brightest employees in the hospitality industry. If you haven’t yet had the opportunity to try our services, now is the time to do so. We offer round-the-clock recruiting that gives us access to excellent candidates of many different backgrounds. We believe that diversity is something to be celebrated. Having a workplace filled with people with different experiences enhances the customer experience. They are able to find common ground with the people they connect most to. Should You Up Your Recruiting to Prepare for the Holidays? If the holidays have taught you anything as a business owner, it’s to make sure that you have enough staff to account for an influx of business. You’ll have more customers to tend to and therefore need additional employees to give them the best experience money can buy. Hiring haphazardly could end up working against you as the high stress of the holidays makes some workers nervous and question their abilities to handle the work you’ve hired them for. With so many obligations to tend to, how do you find the best employees available to work the holiday season? You step up your recruiting by having a professional recruiting firm handle the task for you. Think about the amount of time you’ll save by not having to search forums and job sites for employees. You won’t have to field calls about open positions. In fact, a recruiting firm makes sure that the candidates they send to you are fully qualified and capable of handling the work you have for them. That way you can go into the holiday season knowing that you are fully staffed and ready to deliver the “Wow Factor” each day. There are many benefits of recruiting early. The first is knowing exactly how many employees you’ll have available to work extra shifts. If scheduling is need-based, you know how important it is to have a handful of employees that are “on call” when you need them. If you don’t have enough staff to cover a basic schedule, you’ll certainly need to rethink the holidays. You’ll need twice as many people to make sure that everything is getting done to the satisfaction of your customers. Padding your schedule with the right number of employees is easy when you know that you’re fully staffed at the time the holiday season rolls around. Another benefit is that everyone will be able to do their job to the best of their abilities because there will be enough help to go around. They won’t feel stressed because they’re trying to do everyone else’s job on top of theirs. This means that your customers will have a better experience all around because of your ability to predict an influx in business. Upper Crust Recruiters are ready to make your holiday season among the most successful ones you’ve experienced to date. The people you hire to represent your company help determine how well you do to connect with your customers. When your employees are satisfied, they do more than what is asked of them. During the busyness of the holidays, this benefits your business in measurable ways. Your high level of service isn’t lacking because a shortage of employees. Instead, you have extra people on hand who want to work during the holiday season or don’t mind coming in as needed. They may not be full-time or permanent employees but they’ll be there when you need them most. If you’re in the business of hospitality and you can’t figure out what is causing you to lose staff, there could be a number of things playing against you. One could be the management you’ve put in place. Do your managers contribute to your workplace culture or take away from it? If you’re looking for the reason why you can’t hold onto staff, there could be five things contributing to your high turnover. Finding out what the issue is and rectifying it could mean the difference between night and day for your business. You could go from barely making it to thriving quickly. 1. No clear job description for employees. Workers need to know what tasks they’re responsible for. Without a clear job description, the authority can be abused. Employees are asked to do work that they weren’t hired for or qualified to do. This makes many people upset and questions why they are working for a company who doesn’t provide job descriptions for their workers. 2. Dangerous or uncomfortable working conditions. Many employees leave because they’re asked to do something they’re not comfortable doing. It doesn’t even have to be you doing the asking. It could be a manager or another staff member. Either way, the employee doesn’t feel safe and wants to do something about it by taking a job elsewhere. 3. Poor supervision or no supervision at all. Employees are not given any direction when they start their shifts. They’re on their own to make tough decisions. They can’t get help from their fellow employees because there is a lack of order and expectations in the workplace. 4. No support system for workers. Issues aren’t being heard or addressed. There is no resolution for the problems that keep coming up. Employees feel like no matter how hard they try, they’re not recognized or appreciated. They have no loyalty because they feel no loyalty toward them. Some companies offer better benefits than others. It’s par for course that employees want to jump ship and go where they can get the most from their employers. If you do offer excellent benefits, perhaps you’re not sharing them in a way that employees understand? A complete overhaul of your employee handbook may be in order so that you’re able to retain employees better. Minimize the damaging impact turnover has on your business. Hire Upper Crust Recruiters to take care of the hard task of recruiting excellent employees to your business. We have access to the cream of the crop and won’t stop looking for recruits until every vacant position is filled in your company. Let us help your chances of retention. We want you to be able to have a staff that you can depend on day and night. With the right recruiting firm, you’ll increase the likelihood of your employees sticking around. How many times have you gone on an interview and wished for a different outcome? If you’ve been left wondering what you may have said or done wrong, you’re not alone. Many people aren’t conscious about the things that they do which is precisely why they don’t get job offers. We’ve all been late at least once in our lives. The wrong time to stroll into a place is during a scheduled interview. You should give yourself enough time to drive, find your way into a building, and to check in with the receptionist. If you feel like you won’t make it on time, see if you can reschedule the interviewer at a later date. · Coming to a location unprepared. Even if you are on time, you may be required to park in the employee parking garage two blocks away. You may want to think twice about moving slowly while getting ready. Make sure to give yourself enough time to arrive, park, and get inside the building where your interview is being held. When it comes time for the employer to call your name, you’ll be ready to go. Now is the time to look your very best. Don’t stroll into a job interview looking like you just rolled out of bed. Be neat and professional. Wear your best clothing. Carry your best portfolio case or notebook. Act as though you’ve already been given the job because it helps the interviewer picture you in the position. · Sharing too much information. There are some things to share with a potential employer and some things better to keep to yourself. That’s why it’s important to be reserved on your interview. You can explain what you meant to say but keep your answers short and concise. Don’t leave an employer guessing about something that you said because you’re not sure they’ll want to deal with ongoing issues from you. · Putting out negative body language. Nonverbal communication in the form of body language and gesturing is very important. It allows interviewers to get a feel for who you are and what you’re like as a person. If your shoulders are slumped and you’re avoiding making eye contact, there is a good possibility you’d rather be anywhere but where you’re at now. There are many things you can do to flub up an interview. By being mindful that every action you take is being scrutinized by a potential employer, you can relax knowing that you’ve done everything you can to ensure your success. If you receive a phone call back from the employer with a job offer, you’ll have done everything right. Don’t let nerves or disorganization get in the way of you landing your dream job in the hospitality industry. By preparing for an interview accordingly, you increase your chance of acing it. You’ll be dressed to impress and ready to answer whatever questions an employer has for you. There are many advantages to hiring a recruiting firm to recruit for you. In addition to offering you flexibility by freeing up your day for other necessary tasks, recruiters bring their knowledge of the hospitality industry and human relations to locate star employees to fill your open positions. They work around the clock to find the right candidates that bring value to your business. When an employee doesn’t work out for whatever reason, the recruiting firm springs into action by searching for someone even more excellent to take their place. The advantages that come with working with a recruiting firm are well noted. In fact, recruiters happen to be outstanding at what they do. To see them in action, you have to hire a recruiting firm to help fill the vacancies within your company. · Select from a pool of pre-qualified candidates. Recruiting firms never stop recruiting. They’re constantly looking for talented people to work in the industry even if you’re not. They stay in touch with people they feel are shining stars so that they don’t lose their interest. These people meet the qualifications that you’re looking for. At a moment’s notice, the recruiter can contact a potential employee and connect you with them. That saves you an incredible amount of time and effort making it well worth the investment you make on recruiting services. · Manage multiple candidates from multiple sites with ease. Not only do recruiters have numerous sources where they find candidates, they’re constantly putting feelers out to see who in the industry is looking for work. They contact these individuals so they don’t have to introduce themselves again in the future. This speeds the hiring process right along because you’re then able to interview whomever it is you feel would be a good fit for your company. As you can see the job of recruiting is ongoing. Even when there isn’t an immediate need for employees, a recruiting firm is looking out for your best interests. They’re looking for suitable candidates that fit your needs. That way, when the time is right, they have people to send your way for interviews. You’ll never be left without great people because you’ll always have a recruiter by your side taking care of the task for you. That’s one of the most noted benefits of hiring a recruiting firm. Upper Crust Recruiters provides companies with peace of mind. We tackle the tough task of recruiting the most outstanding people in the hospitality industry to come to work for you. This guarantees that you have access to the best and the brightest with minimum effort. Our website serves as a hub of activity. We publish a list of the best job opportunities in the area there for potential employees to see. They can reach us by contacting us through our site or we reach out to them by contacting them through the many different resume sites and job seeking boards we regularly visit. When interviewing with a company in the hospitality industry, there are some questions you want answered. This allows you to get a feel for the company, its policies, and benefits. Before you start your interview, review the questions you’ve come up with so that they remain fresh in your mind. It’s easy to forget them after you get involved telling the interviewer all about yourself and why you’re the perfect candidate for the position. 1. What kinds of duties does the job entail? Ask for a copy of the job description if you can. That way you can review it and ask additional questions if necessary. It’s important that you get clear instructions about the company’s expectations of you in a certain position. 2. Will I be working alone or with others? If you’re used to working with a team, it can be challenging to work on your own. If you’re used to working solo, it can take some time to get used to working with a team. Being flexible in your approach to work allows you to be seen as an asset to a company. 3. When is the pay period? Knowing this answer allows you to manage your finances accordingly. It also helps you seek out opportunities for overtime if necessary. You’ll know when to expect a paycheck and how to best budget the money that you earn. 4. What types of benefits does the company offer? Is insurance provided? Does the company offer pay vacation time and personal days off? If they do, how many are you given? Do you earn more the longer you’re with the company? It helps you gauge the longevity of the company. If it has been in business for quite a while, you know that there are core standards in place. If a company is new, there is plenty of room to help it grow and become scalable. 6. What types of advancement opportunities are there? It’s important for you to see how important you are to a company. Is it willing to hold onto you for the long-term? If so, when are promotions discussed and how are employees evaluated? This is where a copy of the job description comes in handy. It allows you to have proof of the requirements of the position. 7. Are there certifications I need to acquire to be offered the job? If the answer is “Yes,” you should know who is paying for it. Will it be an out-of-pocket expense for you or something that the company takes care of for you? By getting a feel for a business, you’re able to determine how well you’ll fit into its culture. You’re able to make an informed decision as to whether you should accept a job offer. Based on the information the employer gives you, you’ll know whether a position in the hospitality business is right for you. In today’s competitive business marketplace, it pays to find the right people to fill the open positions in your company. Doing so allows you to stand out in the minds of your customers and guests because you deliver quality and consistent service. Finding the right people to bring onto your team takes time and a wealth of resources. Sometimes, you don’t have the time or budget to spare. Knowing how to recruit new talent is a skill that many people excel at. It’s something that some people do well naturally. If you’re fine with interviewing but don’t have the patience to search for employees in person and online, you’re better handing off that task to a recruiting company. It’s the only thing they’re required to do, unlike you who has multiple responsibilities to keep your company running. · By searching high and low for the most exceptionally talented people in the business. We don’t recruit from one website like many people do. We search all of our leads so we can match you with the right employees. Since recruiting is our passion, it’s not a problem for us to go the extra mile for our clients. We know that employees are a direct representation of you and your values. When trained, these people see their value and excel in the workplace. You’re able to retain them longer and even offer them more outstanding job opportunities through transfers and promotions. · By appealing to the best candidates through proven methods of recruitment. Talking up your company simply isn’t enough. We show potential employees how they add value to your team and how it pays off in the end for them. We make job candidates aware of the growth opportunities that exist within your company. We boost their confidence in your job opening so that they want the job before we’re done with them. This leads to better interviews for you and more importantly, more committed employees for you. Turnover is less because retention is higher. If employees don’t work out after you’ve hired them, we continue searching for new ones for you that is even more exceptional. Let Upper Crust Recruiters take care of the most difficult task for you. Finding the right employees takes time and resources which you may not have a lot of. It’s often a crap shoot because one method of advertising may not work as well as another. You don’t fully grasp these things until after you’ve experienced turnover after a big hiring event. The right people share your vision and know that your success is theirs, too. They see themselves as long-term employees with a bright future with your company, and they go above and beyond to prove that to you time and time again. We don’t look for people who are not just looking to bide their time in the hospitality industry. We find exceptional candidates who bring talent, skills, and desire to the positions they fill. When it comes to impressing a potential employer, there are many things you should do. Creating a flawless resume free from mistakes is among the most important. If you haven’t had much experience in that department before in the past and need some help polishing your CV, you’re not alone. Many people find a refresher course on how to create a resume that counts to be a valuable resource. It helps men and women in the hospitality industry to avoid common mistakes that cost them employment. In taking extra care to prepare your resume, you’re able to present a potential employer with an accurate portrayal of you as a worker. They’ll see that you’re ready for a job because you took extra time to make sure your CV was polished and professional. Considering they can’t schedule a time to meet everyone who applies in person, your resume helps form the first impression they have of you. 1. Not putting the correct contact information on the CV. If you don’t provide a potential employer with an email address or phone number to reach you at, you can’t get in touch with them. Work with your recruiter to make sure that all pertinent information is spelled correctly and accurate. That way, when it comes time to interview, you won’t be passed over because they can’t get in touch with you. 2. Sending it to employers while it is filled with spelling and punctuation errors. With tools galore to choose from to help edit and proof documents, this is often considered the ‘kiss of death’ by employers. If a person isn’t willing to take the time to double check their resume, what other important things will they miss while employed in the hospitality industry? 3. Not keeping the information up-to-date. When information on a resume is outdated, it shows. You can’t rely on work history from decades ago to showcase your skills today. Make sure to explain any gaps in employment with a reasonable explanation. That way, when an employer asks, they’ll know that you’re still interested in making hospitality a career. 4. Relying on certifications that are outdated. You’ll want to include updated certification or not list them at all. During your interview, you can explain that you once held a certification but it has now lapsed. That way, the employer knows that you’ll need additional training to hold the job. 5. Failing to provide good, reachable references. Companies want to know more about you so they want someone they can call to ask what type of employee you have been for them. When listing references, include phone numbers and email addresses of at least three people so that there isn’t any problem reaching one of them if the employer elects to do so after interviewing you. Don’t miss out on an opportunity to impress your dream employer. You can easily avoid the aforementioned mistakes on your resume by having someone else proof it before submitting it online. You can also use a program such as Grammarly to check for grammar, spelling, and punctuation mistakes. Is hiring the wrong people making it hard for you to keep customers happy? Do the employees that you attract look great on paper but don’t possess the skills needed to work in a fast-paced hospitality environment such as yours? If you find your turnover high and your need for quality workers even higher, don’t worry. Let Upper Crust Recruiters handle the difficult task of recruiting for you. Rather than focusing your efforts on one job seeking website, we have multiple places we recruit from. We’re always on the lookout for talented individuals working in the hospitality industry. We don’t wait until you need employees because we already have candidates in mind that are the perfect fit for your job openings. If you’re looking to attract the right people as staff at your business, you’ve got to branch out and approach recruiting differently. Classified ads in the local newspaper are seen by a select audience. You can improve your success by leaving recruiting to people who are passionate about it. When you do, you’re able to attract even more qualified candidates without taking time out of your day. You can carry on doing the tasks you need to get done while we find willing and capable employees to come to work for you. You’re able to accomplish more in less time which is incredibly helpful. We don’t stop until we find the right people for your company. Job seekers visit our website daily because they know we have the best clients in the hospitality industry. Our job board is a source of constant traffic and one of the greatest leads we have when it comes to recruiting. The people you hire to represent your company must share the same values and commitment to providing excellent customer service as you. When scouting out the best talent in the hospitality industry, we look for true passion. Job candidates that love what they do shine in our eyes. You’ll find them going above and beyond for you and your customers. That’s one of the benefits of hiring us to do the recruiting for you. We’re able to select from a larger pool of qualified candidates to find the right fit for your workplace culture. If for some reason, an employee doesn’t work out, we find someone better suited for the role right away. Let us know how many employees you need and what type of positions you’re trying to fill. We’re committed to your satisfaction and go the extra mile to make sure you’re staffed with the best and brightest hospitality workers in the area. Contact us today by phone, fax or email. It’s not enough to possess the skills, expertise, and training that employers in the hospitality industry find attractive. It’s also important for potential employees to fit into the workplace culture well. How they interact with other employees, management, guests, and customers makes all the difference to companies small and large. In a fast-paced environment with high turnover, it’s important to find team players willing to pitch in whenever and wherever they’re needed. Recruiting and interviewing takes time and effort. Sometimes, few applicants seem fit for a job. Even then, others may be qualified but once they’re hired, not be the type of workers you hoped for. The amount of time invested in a person at this point is grand and it takes you away from your other duties which are now challenging to complete. · You have access to a greater selection of people. That’s right! When you have recruiters recruit for you, you gain access to all their leads. They scour the internet and canvas communities in search of the best possible people for you. When you blindly pay for a classified ad, you’re limited to only the candidates that see the ad and choose to apply. · Candidates have been pre-screened before they’re interviewed. Some people look great on paper but don’t do so well when they’re face-to-face being interviewed. With the right training, some candidates are moldable. They can fit your workplace culture well. Others, however, won’t last long in a fast-paced or challenging environment which means you wasted time and resources hiring and training them. Our mission is to make our clients’ jobs easier by taking on the task of recruiting for them. If your schedule leaves little room for anything other than work, contact us. We want to exceed your high expectations. If you want to avoid the hassle of serving as recruiter and interviewer, you can hire Upper Crust Recruiters to take care of one of those tasks for you. We’re passionate about recruiting and go the extra mile to find the best candidates to come to work for you. We not only pay attention to skills, training, and expertise, we also get a good feel for the person we’ve recruited and how they adapt to different workplace environments based on the questions we ask them. Let us take the hard work out of recruiting excellent workers. We’re committed to finding the right people to fit your workplace culture. They represent your business and are often the first people your customers see and interact with. How they work with each other makes a world of difference which is why workplace culture is something that needs to be accounted for. If you want a chance to impress your dream employer in person, there are some things you’ll want to do in advance to get ready for an interview. Knowing that you could possibly be called to set up a time to meet face-to-face with the hiring department of the hospitality company you applied to is a great deal of pressure. That’s why you can’t be complacent about it once you’ve started to work with a recruiter to find you a job in the industry. The candidates that stand out most aren’t only great on paper, they’re well-prepared to make the most out of the interview they’ve scheduled. If you’re not sure where to start in the preparation process, don’t worry. We’re sharing some tips with you to make things feel smooth and effortless. · Get to know the company and how it operates. That way, you can show legitimate interest in the position and ask the right questions about the role you’d be filling. This benefits you and the employer. 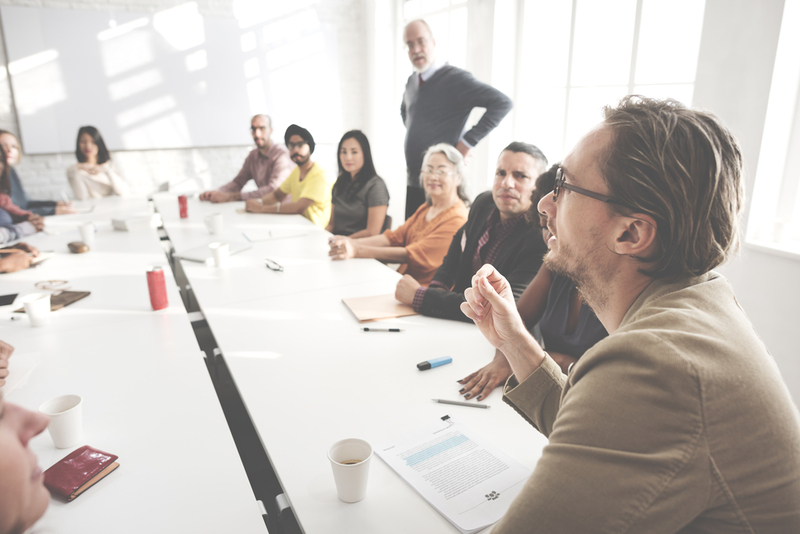 They get to see someone who has done their research, and you don’t miss out on an opportunity to glean important information needed to help you work as an employee of theirs. · Make sure that you look and feel your best. Get plenty of rest and give yourself enough time to get ready for the interview without feeling frenzied. Set two alarms if you have an early morning meeting time scheduled. Give yourself a last-minute glance in the bathroom’s mirror before stepping foot in the room to be interviewed. You’ll identify any potential problems such as smeared lipstick or eyeliner, food in teeth or anything else embarrassing that could cost you a job. · Be polite and respect the interviewer’s time. Don’t show up late or stay way past your scheduled interview time. Provide complete answers but don’t go into a full-blown conversation unless invited to. The interviewer is going to have other people to meet with and a limited time to do so. That’s why it’s important to go through a list of commonly asked interview questions prior to the actual interview date to prepare. Prepare in advance to be interviewed. Get a haircut or trim to make sure you look ready to work. If you’re male, shave. There are many ways to prepare yourself physically and mentally for an interview. Buy a new outfit or two specifically for interviews. Keep a copy of your resume with you in a portfolio or briefcase. Don’t be afraid to let your personality shine through by giving examples of way you’ve excelled in the hospitality industry in the past. Show the employer that you’re the best candidate of all the people they’ve chosen to interview for the job. Your experience, education, and professionalism shines through when you take time to prepare accordingly. Work with your recruiter to come up with ways to continue to impress the hiring departments of the companies you interview with. As an owner of a business that deals with hospitality, you know how important it is to hire the right people to take care of your customers. After all, your employees are among the first people men, women, and children see when they patron your business. You want the individuals that work for you to be the cream of the crop and memorable for the high level of service they provide. So, how do you find people qualified enough to work for you? What if you don’t have time to run your business and recruit? That’s where Upper Crust Recruiters come in. We know what it takes to gain the attention of talented men and women with experience as hotel managers, wait staff, and head chefs. · Provide a well-thought out job description. People want to know what their obligations are. If you state them from the beginning, there will be no question as to what role an employee will play. They’ll know exactly what duties they’re responsible for doing in your establishment. That way, they’re able to do the job they were hired for with ease. As the owner of a company, it’s your responsibility to highlight the rules and regulations from the start. If you won’t tolerate certain behavior, it needs to be very clear at the time of interviewing so employees who were tempted to push the envelope decide not to come to work for you. If you have no tolerance for tardiness, make it known. People will either show up to work on time or decide to work for someone else who is more lax in their business operations. · Talk up your benefits package. Aside from pay, employees want to know what other things you have to offer them. This could be in the form of bonuses, raises, and health insurance. If you offer paid days off and vacation time, you’ll want to make this known when people start applying to work for you. That way, you’ll attract the right people. It gives them an incentive to return a phone call to your recruiter and set up a time where they can be interviewed by you. · Give examples of employee successes. Use real life scenarios to illustrate your stellar work environment. Employees want to know that they will thrive where they choose to work. They want to be offered the chance to advance their careers. They also want to be recognized for the hard work they put in. If you do that now before you hire new job candidates, they’ll have a positive outlook on your company and the roles that you’re trying to fill. Don’t let a position remain open for too long. There are qualified candidates everywhere who bring their own talent and skills to a job. Let Upper Crust Recruiters match you with the best jobseekers around. We know where to find the best people to work for our clients. As an employer, you’ve likely run into challenges in the past. You may or may have not hired the right people to come to work for you. It could have been lack of time that shaped your decision to hire the first people you interviewed. That, or you didn’t get the turn out you had hoped for with a hastily written classified ad or last-minute job fair. As a business owner, you’re exceptionally busy. You may not have a free moment in your schedule left to recruit, interview, and hire the right people for your open positions. If you can’t seem to find enough time in the day to eat, you’re going to need help with recruiting. It’s a big job better left to a team that has time to scout around the clock. That way, you get the best people to come to work for you. You don’t have enough people to handle the task of hiring for you, and you can’t fathom how you’ll find the time to make it happen on your own. You need a dedicated team who takes charge of recruiting for you so all you need to do is interview, hire, and train the right people who come to work for you. A recruiting team doesn’t rest until they’ve found excellent candidates for their clients’ open positions. That’s the case with us. Recruiting is our passion and something we take very seriously. We don’t rest until we’ve found several worthy candidates to fill your open positions. If one of the doesn’t work out for you, we’ll replace them with someone who will. Maybe you’ve never had to handle hiring staff before because you left it up to someone else to do. You now have a need for employees but don’t know where to start. You don’t want to waste valuable resources hiring the wrong people because you’ll be forced to hire news ones to replace the employees that didn’t work out. Don’t let your lack of experience be detrimental to staffing. You need good, reliable people to work for you. · A need for people right now. You may have had no choice other than to hire anyone that applied for a job. You could be so understaffed that you need everyone you can get your hands on. If you’re no longer in that position and can be more selective, you’ll find hiring a recruiting company ideal. You’ll get the cream of the crop versus anyone who is remotely qualified. You’ll also be able to retain the staff you have. Your dream candidates are waiting to get hired. You must remove the obstacles that are preventing you from finding them. Upper Crust Recruiters knows what it takes to appeal to the best and brightest talent in the hospitality industry. Let us take the pressure off you to recruit new employees. You’ve got enough to deal with already and we’re amazing at what we do. If you want your resume to gain attention for the right reasons, you’ll need to word it carefully. You see, there are words that stand out on the page and in the minds of employers. By adding these words to your resume, you stand a better chance of landing an interview and even being hired by the companies you long to work for. It’s not the words themselves that are impressive. It’s the action behind them that is. If you state that you managed a team of ten people, it’s not as powerful as saying you lead a team of ten people. Lead implies that you took initiative to provide guidance to the people working under you. Assign an action word for every skill you bring to the table. Rather than rely on titles alone, explain how you fulfilled the requirements of the position. Let the employer know what you did to go above and beyond for the companies you previously worked for. Since they can’t speak to you face-to-face initially, help paint a picture of what type of worker you are. Let them know how you demonstrated leadership skills in your previous places of employment. Make them feel intrigued about you and what you can do for their company. This is just a sampling of the verbiage you can use to paint a vivid picture of your experience in the hospitality industry. There are hundreds of action words to use. It’s up to you to give employers a glimpse at who you are before you step foot into the same room as them. Also, make sure that your resume is polished and professional. Correct spelling and grammatical errors. Read each line to make sure that it is accurate and a true representation of you. Remember, you have one shot to grab an employer’s attention. That is with your resume. It is what recruiters look at when helping their clients find the right employees for open job positions. If your information isn’t up-to-date or your resume doesn’t make sense, it won’t get a second glance. You’ve worked hard up to this point to build a skillset that employers desire. Take a few extra minutes to make your resume outstanding because there is a reward that comes from the effort you put into it. Make your resume stand out in the hospitality industry. You’ve got the skills, training, and experience. Now, show them why you’re indispensable before you land an interview. The right words and phrases capture the hiring department’s attention and giving you a chance to get your foot in the door. If you’re looking to change careers or employers, you’ve got to attract the right recruiter. By doing so, you’ll increase your chances of landing a great job in the hospitality industry. You’ll have someone by your side, scouting out opportunities for you, until you find work. They have insider knowledge about what it takes to land an awesome job so follow their advice and you’ll be golden. · Ditch the amateur photographs. You don’t need to have professional photographs taken for your social media profiles. You should, however, use discretion when posting a picture or selfie. Consider who will be viewing your profile and what type of employee that they’re looking for. Having a cold beer in both hands might be cool to your college friends but it’s not what a recruiter wants to see. Show them your best by using a current, cropped, and attractive photo of yourself. Be careful not to include other people in the image because it is distracting. Instead, think of it as a headshot and put your best self out there for others to see. You’ll gain attention for the right reasons, not the wrong ones by attracting employment opportunities. If you’re using social media to attract recruiters and employers, make sure that your info is up-to-date. Do some tidying up every couple of weeks to keep your profile visible and relevant. Make sure that your phone number, email address, and job status hasn’t changed in the meantime. This will prevent recruiters from contacting you if they think you already have a job. It will also give them the opportunity to call or email you if they’re looking for a person with your skills, talent, and education to fulfill a position in the hospitality industry. · Know as much as you can about the type of jobs you want to work. Even if you’ve never worked a specific position before, it’s important to know why you’re qualified to do so. Take time to research the companies that you’re seeking employment with. Get to know what they do and how they do it. Think of ways that you’ll add value to the company. That way, if a recruiter does approach you and gets an interview set up on your behalf, you’ll be ready. They’ll want to continue helping you find work because you’re serious about your job pursuit. Make yourself more attractive in the eyes of job recruiters. They’re looking for talented people like you to fill open positions in the hospitality industry. Impress them with your knowledge, skills, and personality. Follow the tips listed above and take the first step by revamping your resume. Upper Crust Recruiters helps match people with desirable skills with high-demand jobs in the hospitality industry. Hone in on the things that recruiters look for most in recruits. In a matter of no time, you’ll have the job you wanted and the salary to match your skills and experience. If you have open positions within your company, you know how hard it is to attract the right people. It’s all about timing and how you word your classified ads. You must remain visible and attractive to jobseekers or else you’ll never get the right people to come to work for you. Upper Crust Recruiters takes the guesswork out of recruiting talented men and women for your company. As seasoned professionals, we work around the clock to attract, get to know, and send qualified people your way. Not only are the candidates capable of doing the job description you require, their personalities make them easy to work with and train. · We get to know your needs. First, we listen to you. 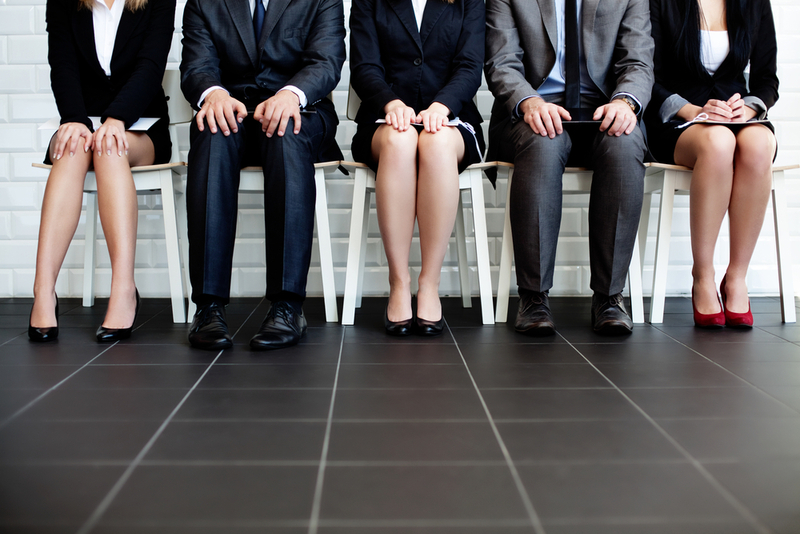 We get to know your needs so we know exactly what types of candidates you’re looking for. We ask the right questions so that we know for sure who to look for and what to offer them. Using passion as our guide, we don’t stop until we find the right employees to fill your open positions. Our combined experience gives us the insight needed to look for, find, and attract the right men and women to come to work for you. · We scour our base to find the right people for the position. We’re always on the hunt for the latest and greatest talent. We don’t wait for them to come to us. We come to them. That way, we never miss out on making the perfect match between employer and employee. Our base is full of people who are right for the companies we recruit for. There are men and women ready and willing to come to work for you and help you meet your company’s needs. · We give you options. You’re not given just one talented candidate to choose from. We make sure to give you several so that you get the right fit. It’s all about chemistry. Some people do well in high pressure, fast-paced positions while others don’t. You’ll be able to know right away who can handle the work you have for them and who can’t. · We find replacements for you if the original candidate doesn’t work out. If a candidate doesn’t work out for you once you’ve hired them, we’ll work to find you a replacement. We are always recruiting and seeking the best people in the hospitality industry. We want you to be 100% satisfied with the work that we do for you. That’s why we take the time to ensure that the fit is right every time that we recruit. We also make ourselves available to you if you have any questions or requests during and after the recruitment process. Let us help you find the right talent for your open positions. We do the hard work for you. We play matchmaker and don’t stop recruiting until we’ve found the right people to fill your vacancies. It is always a pleasure to help our clients get the cream of the crop when it comes to talented hospitality industry employees. In today’s world, it’s not just what you know but also who you know. That’s what makes networking so important. Getting to know people who work in the same industry you do or are interested in working in helps you gain an understanding of how different companies operate. It allows you to see what type of growth opportunities and benefits packages exist. When a position opens up that you’re qualified for, you’ll have someone to contact about it. You’ll be able to give a potential employer a name that they recognize. This counts for a lot because it gives you an in. In a sea of competitors, it’s very hard to stand out as an employee. That’s where networking helps you gain people’s interest quickly. Having someone you met recommend you to the company you’re applying to makes it easier to get noticed. One thing to consider is that today’s networking experience isn’t limited to face-to-face meetings. Social media networking is another way to get in good with a company. By cultivating a professional persona online and reaching out to influential people in the industry you work in, you make an impression long before you send them your resume. There are additional reasons why networking in person and online is ideal. First and foremost, it gives you an insider’s viewpoint of the companies you’re most interested in working for. You get a feel for what type of personalities they’re looking to hire, which skills they feel are most beneficial, and what to expect in terms of pay and benefits. It also allows you to voice your interests and career goals. Even if you don’t think a business relationship will yield you a job, you can still make an excellent impression on someone who may be able to help you out in other ways down the line. They know people you don’t know and could refer you to them. Without asking a person outright what type of salary they’re making, you get a feel for their lifestyle and spending habits. This gives you an idea what to expect in terms of compensation based on your skills, education, and certifications. It helps you determine if a company is the right fit for you and your needs. See networking as an opportunity to get to know others in the industry. You never know what type of doors it will open for you. You can further your career based on the people you’ve met in person as well as online through various communities and networking sites. When a position opens up that you’re qualified for, you’ll be the first person they call to see if you’re interested in filling it. Now that you’ve landed an interview with a company you’d like to work for, it’s time to prepare yourself for the different questions that will be asked of you by the interviewer. It gives them a sense of who you are as a person and how you approach problems to come up with the best possible solutions. 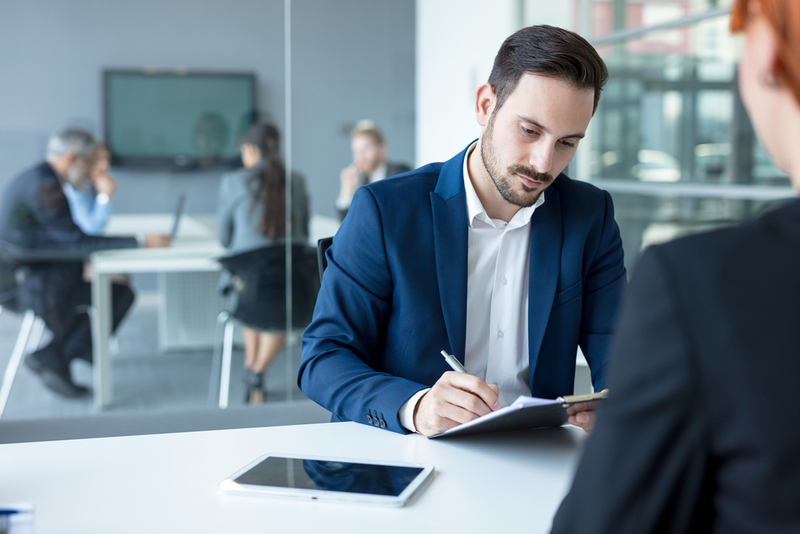 Knowing what to expect in terms of the interview helps ease your nerves and gives you a better shot of landing a job with the company that you want to work for. 1. What should we know about you? 2. How did you learn about the open position? 3. Is there anything you’d like to know about the company? 4. What makes this job appealing to you? A heartfelt response should come naturally. You shouldn’t have to put a lot of thought into it. If you love a company and what it stands for, you should be able to explain to the interviewer why. If you’re hesitant, they may think you’re unprepared or not as enthusiastic about the position as they’d like you to be. Don’t rush through the interview. The company you’re interviewing with allowed time for the process. Be respectful of the interviewer’s time by not making your answers too long, either. Be detailed but keep things as brief as possible. You don’t have to detail the entire story. Just include excerpts of it that help illustrate your point. There is a reason why they chose to interview you. They wanted to see how well you handle pressure, meeting strangers, and communicating at great lengths of time. It’s your job to handle the first set of tasks like a pro. That way, you can impress the interviewer and be offered the position you interviewed for. Answer interview questions like a skilled pro. There are no right or wrong answers. There is a right and a wrong way to approach a question, however. Keep in mind that it is the interviewer’s job to gain a feel for your character along with your skills, education, and past work experience. They’re paying attention to subtle clues such as your body language, how you speak, and how confident you are in the answers you provided. Keep these things in mind the next time you have an interview as they can help you land a job. You’ll be well prepared to deliver the right answer, not the answer you think the interviewer wants to hear. Authenticity counts for a lot when trying to land a job. Companies want to hire people that are genuine and humble. They want to be able to teach them what they don’t already know and share their successes when they triumph. Being honest with the answers that you provide is what will land you many of the jobs you hold in your adult life.